Review Summary: Don't worry, be happy. It wasn’t until I began writing this review that I found out “Early Riser” was made by the son of Bobby McFerrin, the acclaimed reggae artist. The extent of my reggae knowledge is exclusive to Bob Marley & the Wailers, but I will try to give Bobby McFerrin a listen to soon enough. Because his son makes some ***ing good music. The easiest way to describe this album, and (with it being his only album) McFerrin as an artist, is that he sounds a lot like Flying Lotus. He’s signed under Flying Lotus’s label Brainfeeder. For FlyLo fans out there, you know Flying Lotus is “electronic” but has his own distinct brand of electronic music. McFerrin falls into this genre. FlyLo has a progressive and creative sound, but hardly ever arranges it with creative songwriting or structure. It may be the case of un-investigated textures... or a lack of solidarity in sound, with “L.A.” and “Until the Quiet Comes” being his most focused works (and his least mainstream). My one fault with Flying Lotus is his style is whimsical to the point of its detriment. “Early Riser” is a more focused, less whimsical Flying Lotus. The creative textures, apt guest appearances, and jazzy divergences are justified, because McFerrin backs up his sound with solid enough songwriting and structure. This album is laden (yet not encumbered) with jazzy percussion and a general smooth electronic sound. It bears a mix of lush bass, downtempo, key-based ostinato, and a general “dream-like” quality, akin to “Until the Quiet Comes”. It has that borderline IDM, staccato clapping and electronic drumming that pairs well with its few guest-vocalists but does fine on its own. These handful of vocalists that appear on the album give it its slight “soul” quality, along with maybe an indie-pop sound (like on “Place In My Heart”, a hard-to-forget track). As a whole the album is fantastic and solid, but doesn’t consistently WOW you like some of the tracks would lead you to believe. 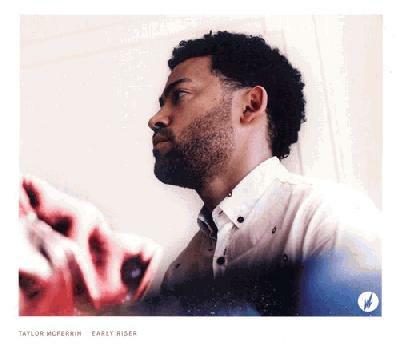 Taylor Mcferrin has strong potential and he has skyrocketed up my list of “closest-watched artists today”. I write this review mostly as a fan, and I ask you to give this album a spin. I am in firm believe this guy isn’t getting the recognition he deserves, and hope you all can feel the same. My favorite track is the closer, PLS DNT LSTN. Please listen. Also give The Antidote a listen. And the rest of the album. ^ I feel you. This album didn't deserve no review.
" “Early Riser” was made by the son of Bobby McFerrin"
Damn i didn't realise either. i mean you dedicated an entire paragraph to flylo (in a really short review to begin with). the intro is a little awkward as well.